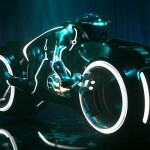 Tron: Legacy, the long awaited sequel to the kitschy 80s classic, has been met with some mixed reviews and a negative buzz from people. I suspended my absolute loathing for 3D and donned the plastic specs to go and see if what I’d heard was true. Did I just witness the worst film of the last year? No. Unequivocally not. It is by no means a great film but the negative vibe is hard to understand. 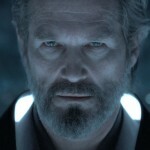 For the most part Tron: Legacy is fairly mindless, action-filled, theme park ride of a movie. It zips along at a lovely little pace taking us from one neon visual extravaganza to the next, and features (for my money) some of the best 3D effects in any film I’ve seen. Unlike the blurry, snorefest of Avatar or the downright mess of Alice in Wonderland, the 3D in T:L is cleverly used for effect, kicking in only when our hero Sam enters the digitalised world of the Grid. This Wizard of Oz trick genuinely works as it really makes the other word stand out, if you’ll pardon the phrase. Unlike Avatar, T:L has no pretensions about being anything more than a glitzy popcorn flick. 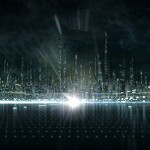 T:L borrows heavily from Chris Nolan’s Batman films, minus the heaviness. 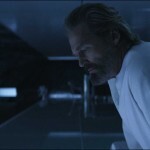 The action scenes are a joy: Jeff Bridges is always watchable in his chilled-out, free-thinking, cyber-dude persona, and the music by Daft Punk lends the film an evocative 80s feel, blending their own singular style with Zimmer-like orchestration. The only thing that downright doesn’t work is the creepy de-aged version of Bridges, which never convinces and always unnerves. The plot is wafer thin, the characters are a bit unmemorable (though the players give it their all), and I was bored by the third act, as there are only so many Lightcycle chases one can stand – but how does this separate T:L from pretty much every other big 3D action film out there? Why does it attract so much ire when it is by no means the worst offender in any of the categories where it falls down? The main problem is just this; Tron: Legacy is not the long awaited sequel to Tron because, genuinely, it was not long awaited. No one ached to see the story continued. The only people leaving the cinema disappointed will be the people who bought into the cleverly manufactured nostalgia that the film’s promotion managed to create. They whipped up hype by making us nostalgic over a film that the majority of us haven’t seen. Other than that the film is exactly what I expected, it’s a dazzling, exciting light-show that’s light on plot and heavy on fun. Sure the dialogue clunks along and you never really care for anyone who isn’t Jeff Bridges, but, honestly, what were you expecting? It was never going to reinvent the wheel. It’s a simple, fun, effects-filled piece of fluff that doesn’t really warrant further analysis, exactly like the original.